"It’s worth knowing that Manny hasn’t stopped an opponent since Miguel Cotto way back in 2009 and even that was in the final round"
Kuala Lumpur may not be the standard setting for a major world boxing title fight but that's what followers of the sport have in store this weekend as former pound-for-pound king Manny Pacquiao takes on Lucas Matthysse at the Axiata Arena. Pac Man has achieved just about everything during a professional career spanning 23 years and his 59-7-2 record reads like a who's who of the noble art but many close to the game believe the little southpaw is carrying on just a little too long and is in danger of damaging his legacy after losing two of his last four. Despite the critics Manny continues to operate at the highest level and this weekend will battle to win yet another world title - the WBA welterweight crown - over 12 rounds. He's favourite but there will be plenty of value hunters eager to oppose. Does Manny have one more big fight in him? Pacquiao travelled to Brisbane, Australia for his last fight and dropped a surprise points decision vs Jeff Horn for the WBO bauble. Many thought that was the last they had seen of the Filipino puncher. It would've been a shame if his career was to end with defeat however and avid fans are overjoyed to have him back and in with a shout at winning another major prize, possibly going out on a high. Defeat to Horn followed a couple of wins over Timothy Bradley Jnr and Jessie Vargas as well as that famous reverse at the hands of Floyd Mayweather at the MGM Grand in Las Vegas. The fight vs TBE was, surprisingly, over three years ago now and the fact Pac has fought only three times since - April 2016, November 2016 and July 2017 - raises its own concerns. At least it should, but Betfair traders aren't losing any sleep over it. 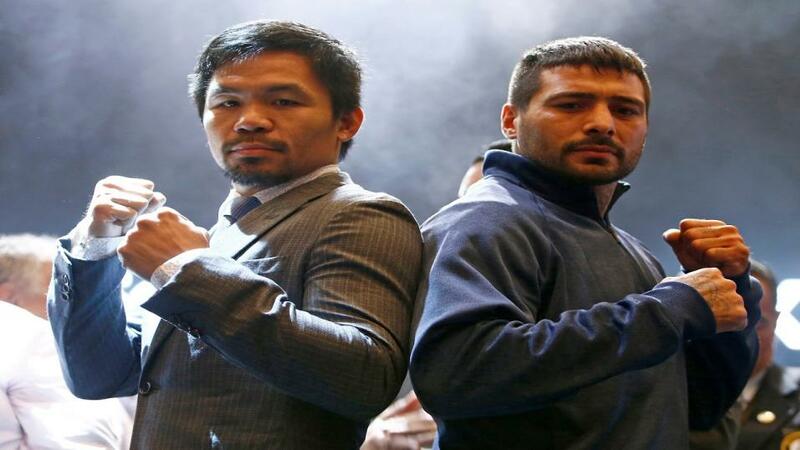 Pac Man to record a 60th career win is available at 1/2 on the Betfair Sportsbook while users of the Exchange will find a 39th KO/TKO triumph at [4.0]. It's worth knowing that Manny hasn't stopped an opponent since Miguel Cotto way back in 2009 and even that was in the final round of 12. The points verdict therefore makes more appeal at [1.77]. Lucas Mattysse may be priced as an underdog but he's certainly no stranger to upsetting the odds, neither is he unfamiliar with performing on the main stage and winning the biggest prizes in boxing. The Argentinian hard man is another who knows his best days are behind him at 35 years old but even on a bad day La Maquina will give anyone at this level a tough night's work and he'll aim to do the same again here. 5ft 6inch orthodox Matthysse brings a record of 39-4-0 into the ring and arrives on the back of a two-fight winning run having stopped Emmanuel Taylor in five at the T-Mobile Arena, Las Vegas last spring and Tewa Kiram in front of a Forum, Inglewood audience earlier this year. That double helped Lucas pick up the pieces of his career after being beaten in 10 by Viktor Postol late in 2015. The 82% KO average coming out of the opposite corner is sure to give Team Pacquiao plenty to think about and despite the favourite suffering three knockout defeats already, an inside the distance shock has been pushed to one side. Lucas to win by KO/TKO is [3.25], more likely than the points cheer at [8.4], both available on the Exchange. Those preferring to keep it simple can get their hands on 8/5 (Betfair Sportsbook) the straight Matthysse win.